Small Group Tour for a maximum of 8 people. Private Tour Only for you and your group. After morning pickup at your Barcelona accommodation, travel with your guide about 1 hour to reach the colorful city of Girona. 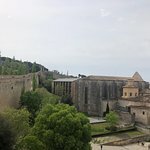 During the drive, learn about Girona’s long and rich history, from its ancient Roman roots through a thriving medieval era and evolution into a hip, modern Spanish city. 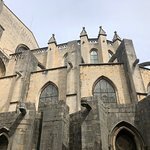 When you arrive, explore Old Town on a walking tour that takes you past landmarks like the Girona Cathedral and an iron bridge designed by famous French engineer Gustave Eiffel. Get a sense of life in medieval Spain while wandering through the city’s labyrinthine Jewish quarter, and rest your feet over a cup of coffee in a charming Old Town cafe. Continue on to the small town of Figueres, located near the French border. 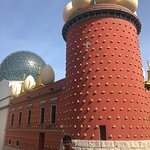 Best known as the birthplace of surrealist artist Salvador Dalí, Figueres honors the legacy of its famous former resident with the Dalí Museum — designed by the artist himself and considered the world’s largest surrealist object. 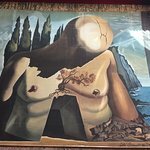 Explore Dalí’s life and work through the museum’s collection of his dimension-bending paintings and other original artifacts (entrance fee not included). Relax on the return drive through the countryside to Barcelona, where the 10-hour tour concludes with drop-off at your original departure point in the evening. Trip to Girona and Figueres was amazing, our guide Ruben was fun and shred really good information. We had plenty of time to see all the sights and also to explore on our own. 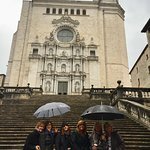 Get quick answers from Girona, Figueres Small Group Tour with Dali Museum and Hotel Pick Up staff and past visitors. Is there enough time allocated to see the Jewellery museum on this tour? We’d like to purchase Dalí museum tickets in advance. What time slot should we select? Yes, our tour also bought our tickets for us. We entered after lunch.